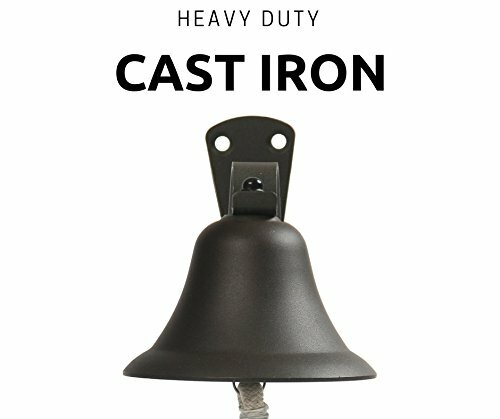  OUTDOOR BELL  - Charming frontier style farm bell made of durable cast iron coated in resistant black finish that can withstand harsh weather conditions for many years to come. 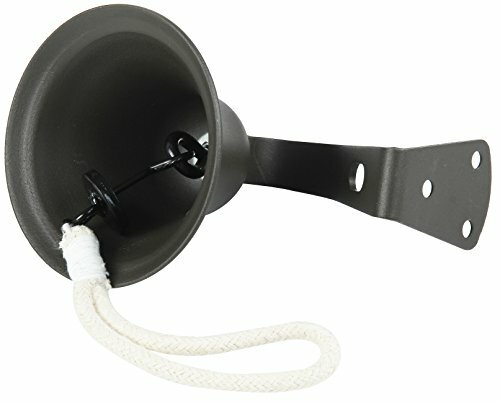  DINNER BELL  - Cast iron bell rings loud and clear. Designed to be an elegant addition to any home. All necessary hardware is included with the bell. 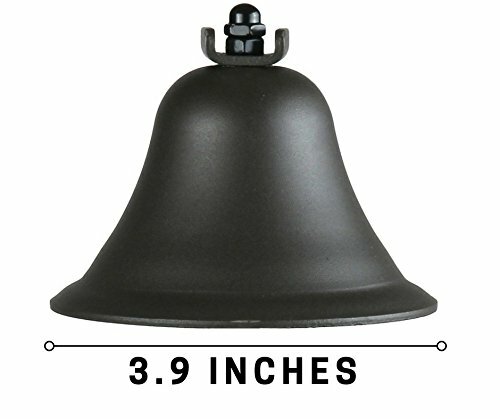  Bell can be used as a doorbell, dinner bell, or a simple decorative bell.  Bell bracket mount works well with indoor or outdoor walls, door, fence or post.